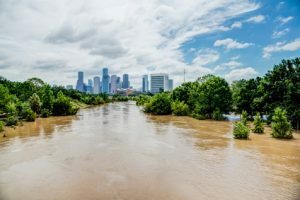 In a recent article, we reported on the massive filing of hundreds of just compensation cases in the Court of Federal Claims arising from flooding associated with Hurricane Harvey hitting Houston in August 2017. Chief Judge Susan Braden has consolidated all of the cases under two dockets, one for the “upstream” claimants (whose property flooded as a result of rising water levels in two Government storm retention reservoirs) and “downstream” claimants (whose property was flooded when the Corps of Engineers released large quantities of water from the reservoirs). The Court has selected about a dozen model plaintiffs each for trial of both the upstream and downstream cases. Now pending is the Government’s motion to dismiss all claims and dueling status reports in which plaintiffs request trial in the fall of 2018, while the Government asks for a trial date in mid-2019. Meanwhile, the parties are conducting initial discovery, and preparing for oral arguments in July on the motions to dismiss.